Box; The first Esci box, not too bad, but not very good either. The uniform seems small, not as bulky as the modern uniform is. Esci managed much better artworks in other sets. 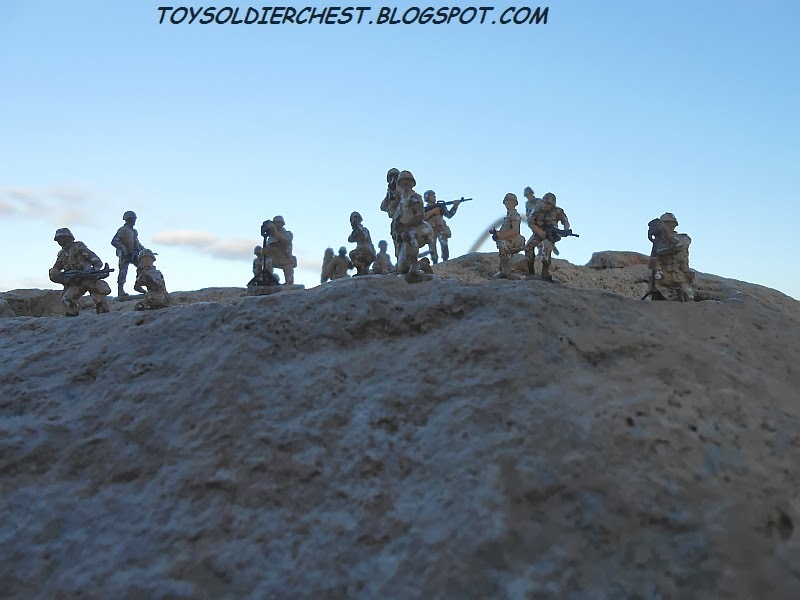 Then comes the Italeri one, with this new style showing us 5 full size soldiers, which makes it kind of look like a 1/35 figure box. The drawings are nicely done, looking much more modern and proper. 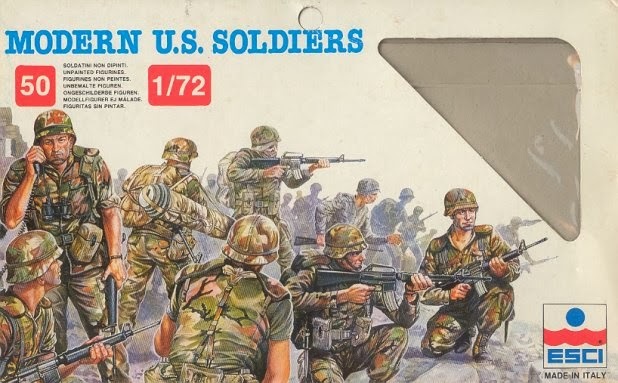 And it really depicts the poses you get, unlike the Esci (curiously, Italeri labels this set "1990s US Soldiers" when this set was made in 1987!). 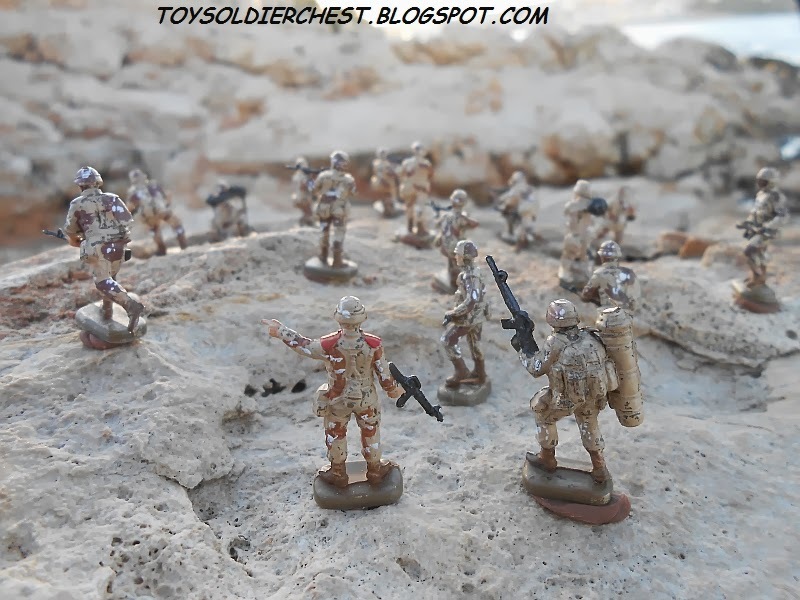 As a final curious note, Mars has copied these figures, without any modification, and not reusing the mould (which strangely they haven't been sued by Italeri) and has released them, giving less figures. There are two versions, in one of them you get 45 figures, in the other 30. 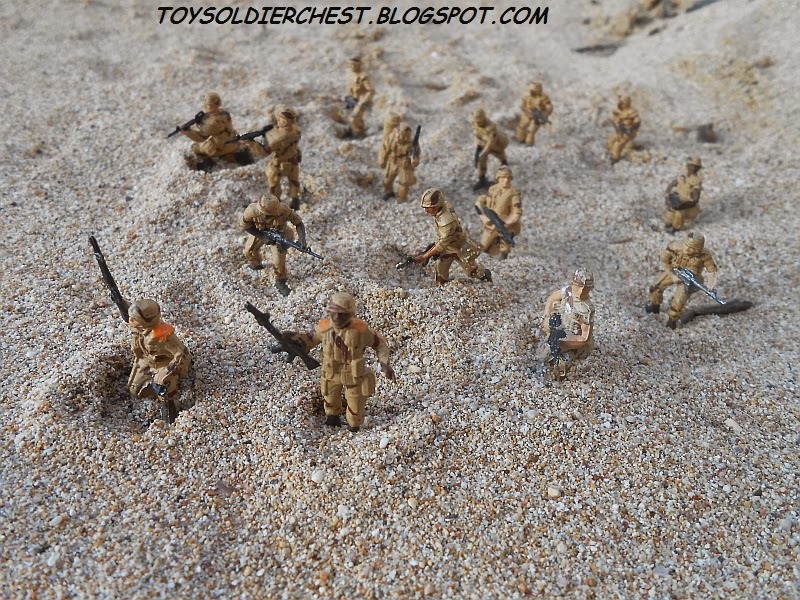 The figures are the same, just worse quality and harder plastic. 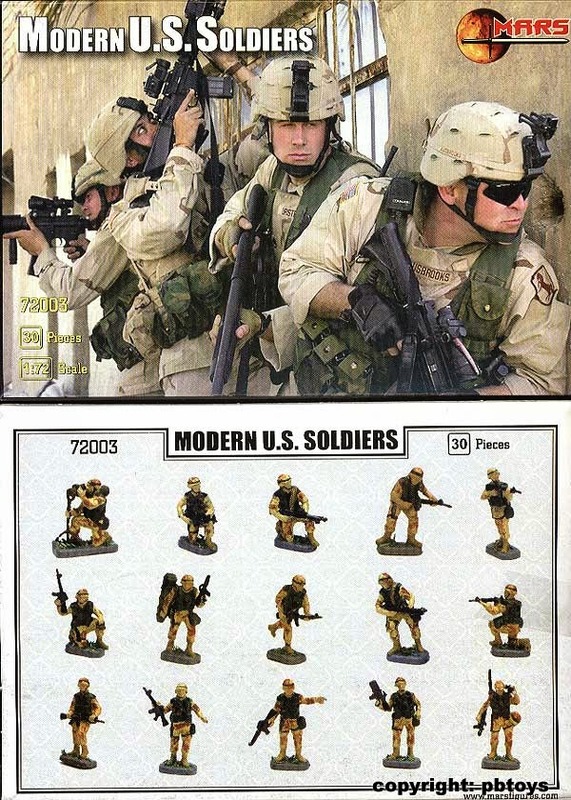 As the image suggests, they try to make you think you are buying modern forces for Irak or Afghanistan, with modern gear on the helmets, and really you get exactly the same figures. Detail; It is a Esci set, so it has a very nice level of detail. Note that the Italeri's reissue has lost quite a lot of sharpness. It is slightly blurred (in the Italeri reissue there are some minor problems like a missing gun point). Everything is well defined and easy to paint. 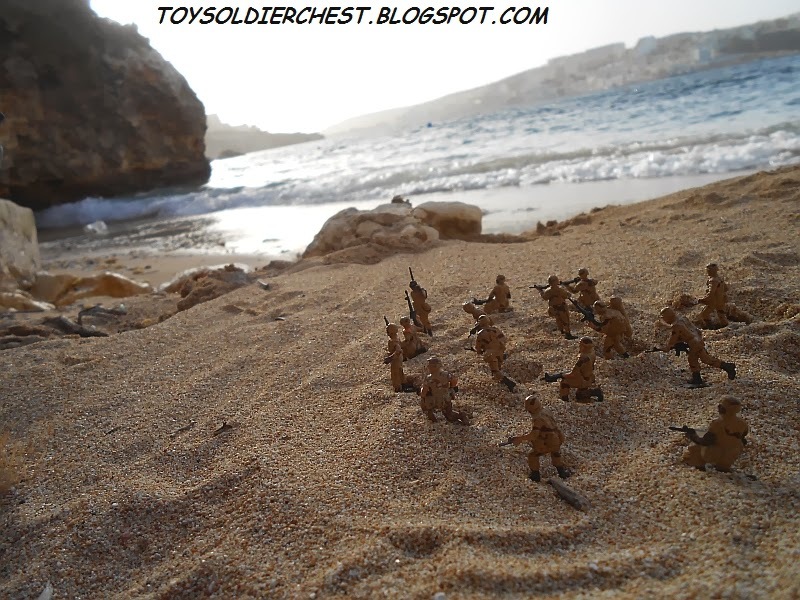 Poses; I must say they could be better, but all the same, they are much better than some modern sets. You get 15 poses, and the main criticism is that some poses are too similar. 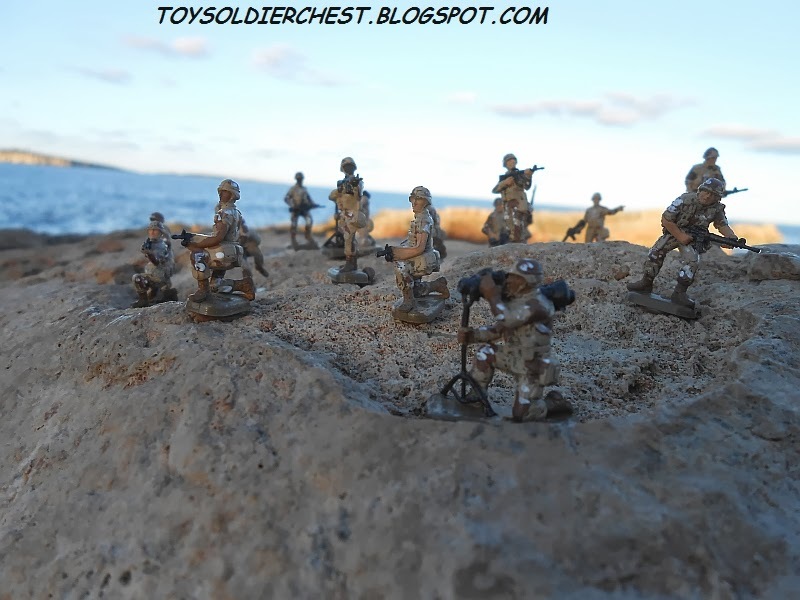 Three of the unique soldiers are nearly doing the same, and there are two crouching machine gunners very similar. 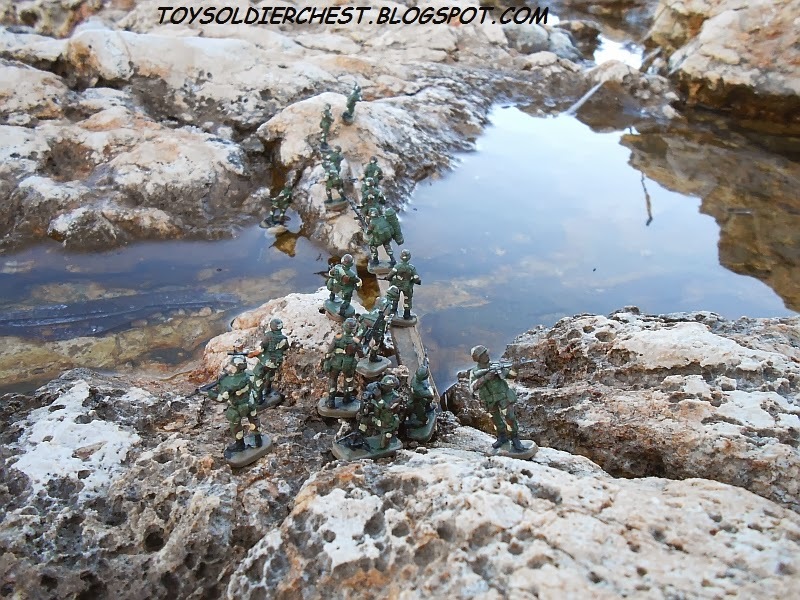 I miss a prone man a bit; it seems that Esci considers that in modern warfare this isn't common, or maybe just it took too much space in the sprue. Anatomical proportions; Perfect. 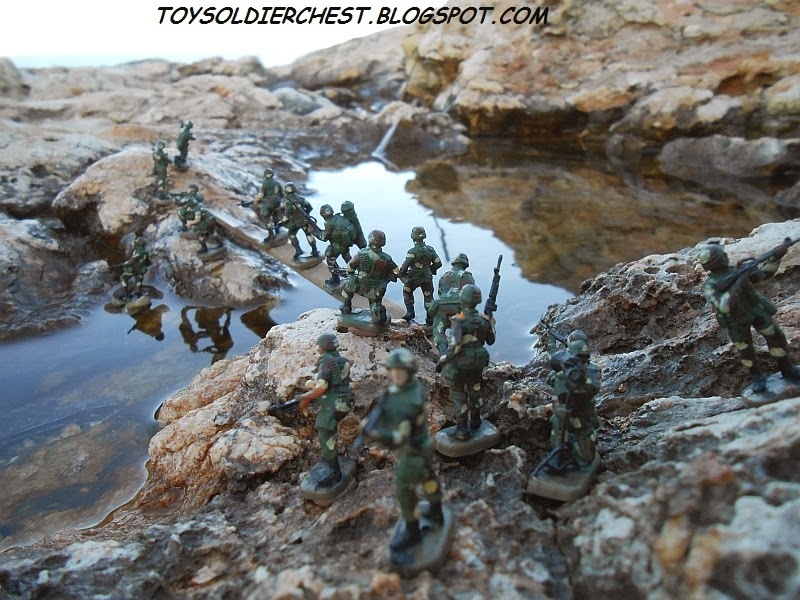 I usually consider Esci proportions as the absolute 1/72, the most lifelike soldiers ever made, and this is a very good example of it. 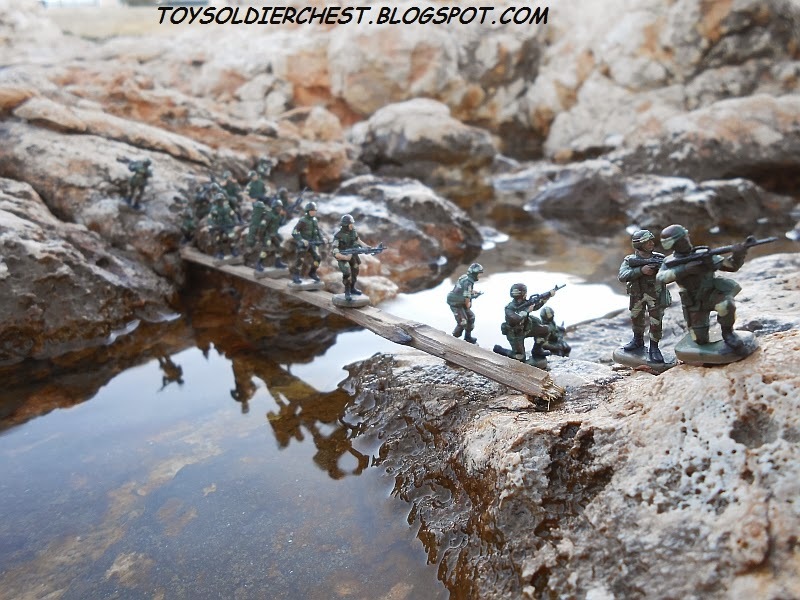 Execution; (how the company has made the figures) In the original, flash was absolutely non-existant - in the reissue you can find a little bit, but nothing to worry about. Plastic used; As always Esci used an elastic plastic that when bent, will lose the paint. But Esci used different plastics, brown and tan, the brown above pictured is very shiny and slippery, while the tan grips the paint much better. 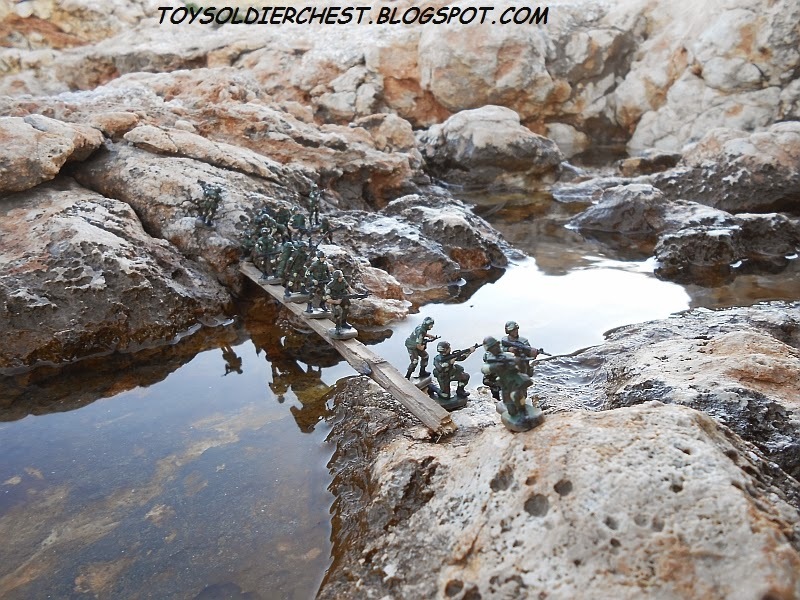 The Italeri is a semi-rigid plastic, very good to paint and glue. With such a modern theme (1990s seems today to me) accuracy surely doesn't represent any problem, and thank God Esci didn't make any error with these subject. One of the problems of the collector of soldiers in modern times (post WW2), is that modern armies have lost their ancient characterization and diversity. One wonders how, if in a neighbouring war in many countries, a soldier will be able to distinguish friend from foe if not close enough to look at the small national flag some modern soldiers carry on their shoulders. If for example two South American countries started a war, I wouldn't want to be a sniper having to decide if a enemy is indeed an enemy. 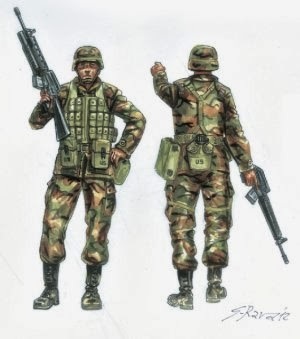 Anyway, these soldiers could easily pass once painted as a myriad of South American, European and Asian armed forces, as many of them use US weapons and a very similar if not copied helmet. "I feel that many reviews are oblivious to this point - there are fantastic figures, which you can´t say anything against, but they are just too "correct", maybe too static, and so just boring. 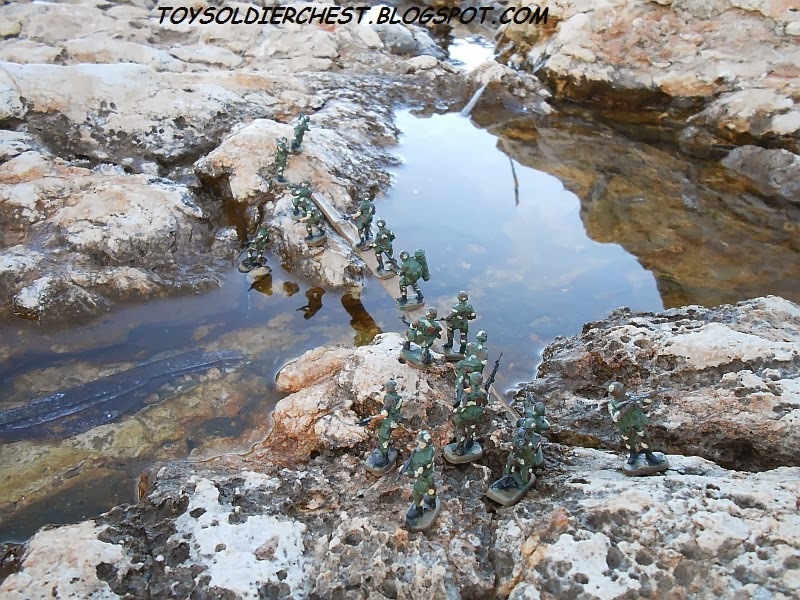 So I feel that this is an important point when deciding if you buy a set"
Not bad, it has good and active poses, and plenty of commanders and officers. There could be something better though, like a general or some medical troop. Not good really, maybe in modern armies there are not many different troops to represent, and everything is very standarized. 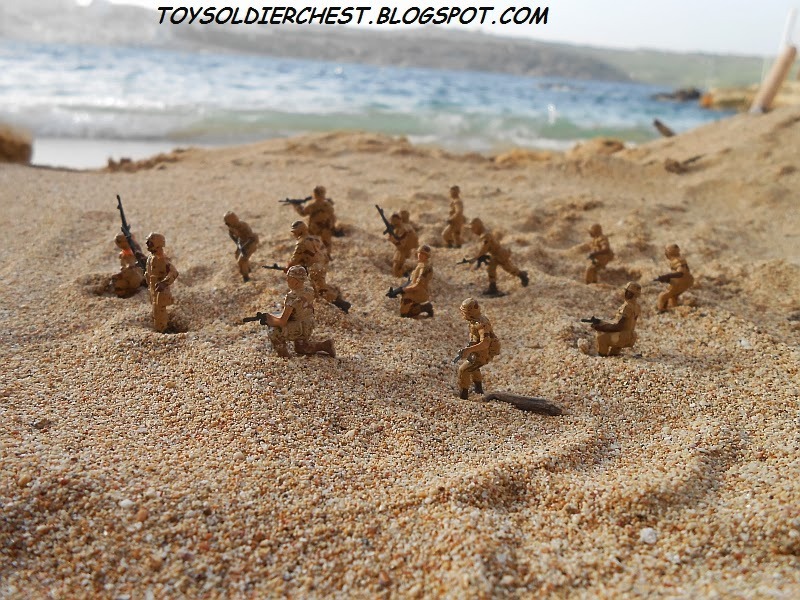 But in this set there are really too many machine gunners. 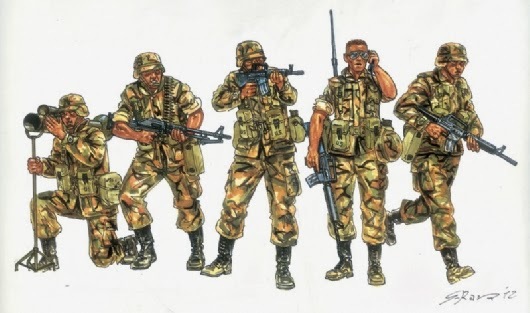 A proper general, a medic, maybe a wounded, a sniper, a grenade-thrower, other sorts of heavy weapons are missing here, and I sense I am even forgetting some other type of soldier. 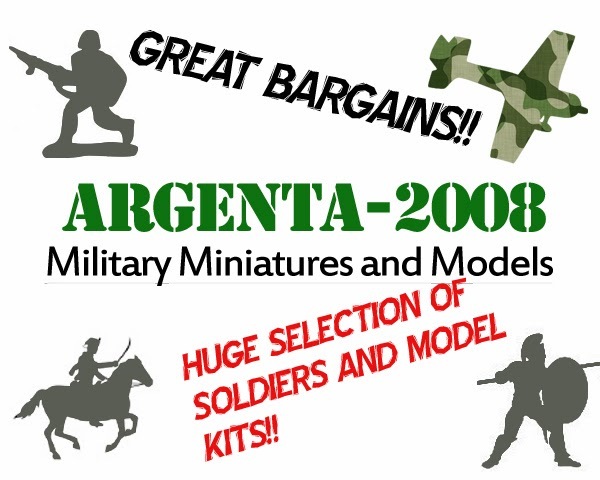 "The price value ratio of this soldiers will vary between every shop you go, and the best I can do is judge by their average price on eBay and online stores"
Again, average. 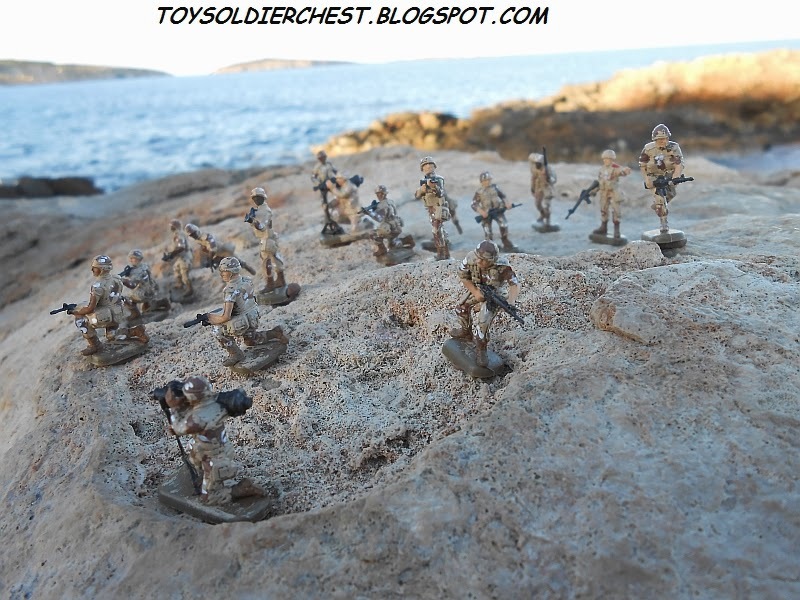 Lately all soldiers are moving around 10 €, and here there are 50 soldiers, so the price is quite good, although you could say "hey, that set has been on the go for 27 years, couldn't it be cheaper?". 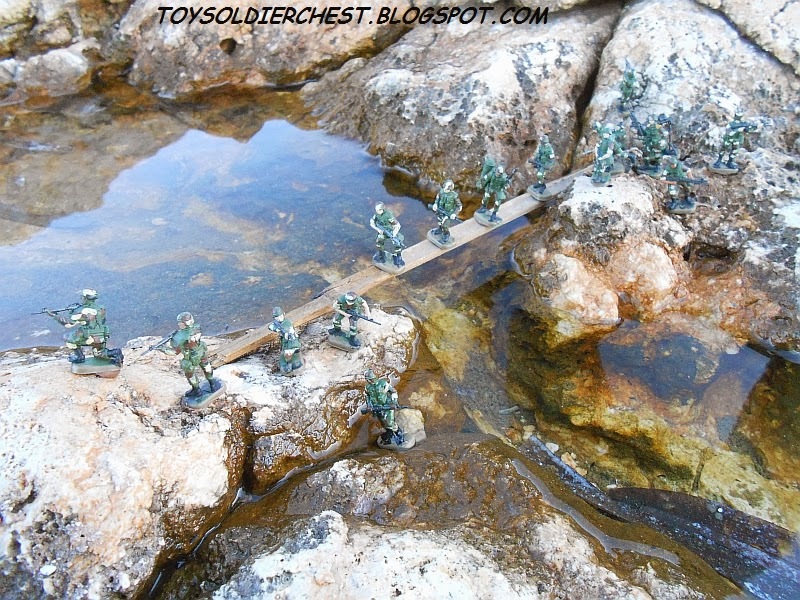 lt has a nice 80s touch, a sort of life which is not to be found in other sets, specially some men like the "Rambo" style machine gunner. 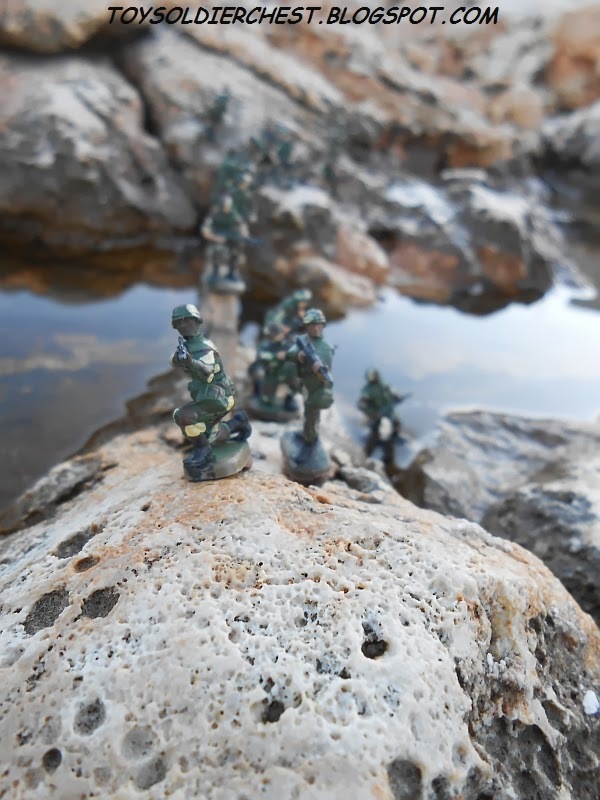 But the serious gaps of prone men or grenade throwers makes the 50 figures a bit repetitive. Conclusion; Still the king on the subject, but with room for improvement. Would I recommend buying them over other alternative sets? 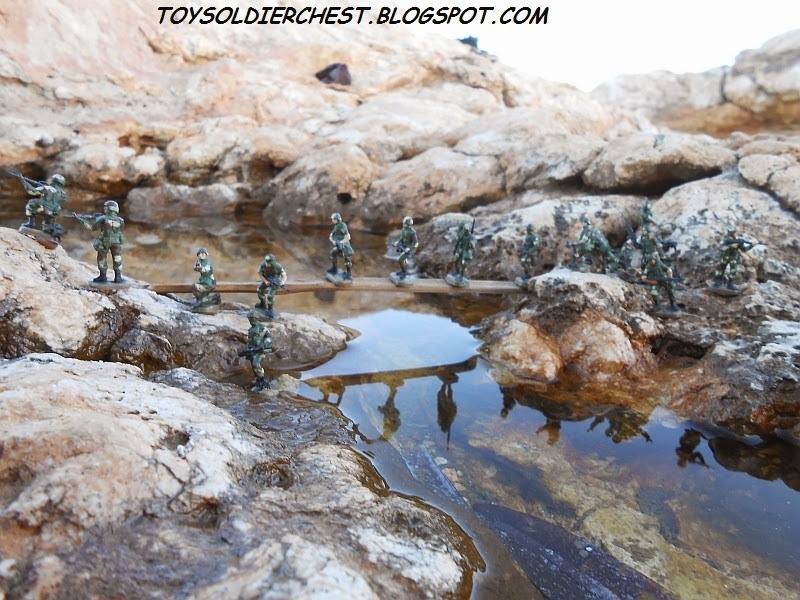 ; Yes, the Revell soldiers are awkward in many aspects, with very strange choices for poses, even though you do have machine gunners and grenade throwers. 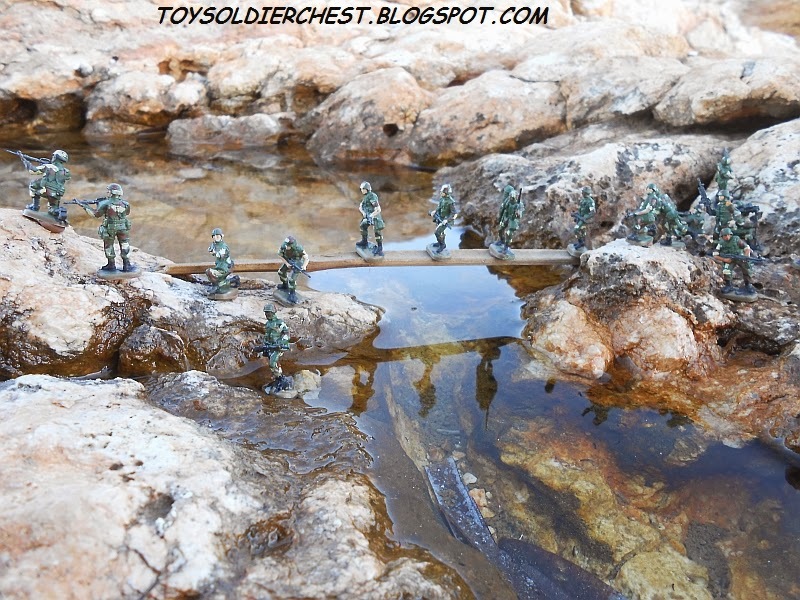 If you have enjoyed this review and want to say thanks, the best way is to click in one of the advertisings in the blog. Every little help will be appreciated. 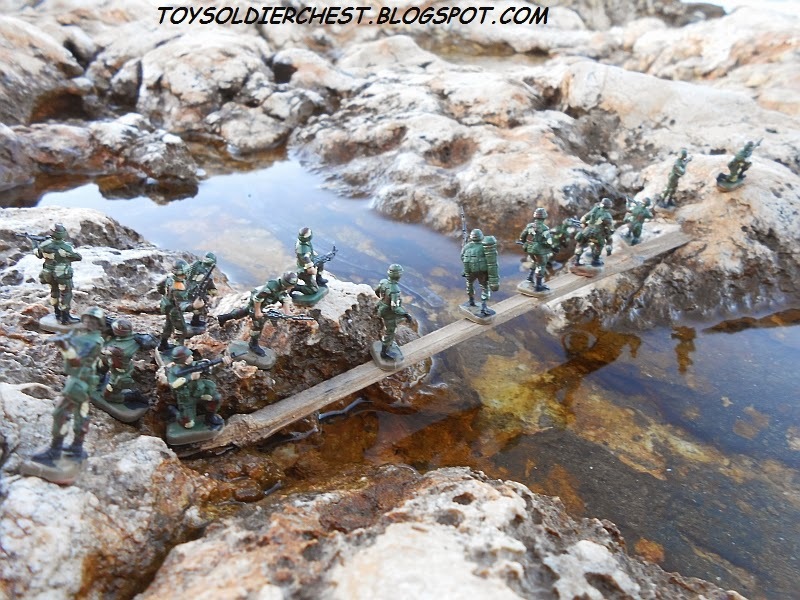 If you have painted these figures I would love to include them in this blog. Send a email to tam_cob@hotmail.com. 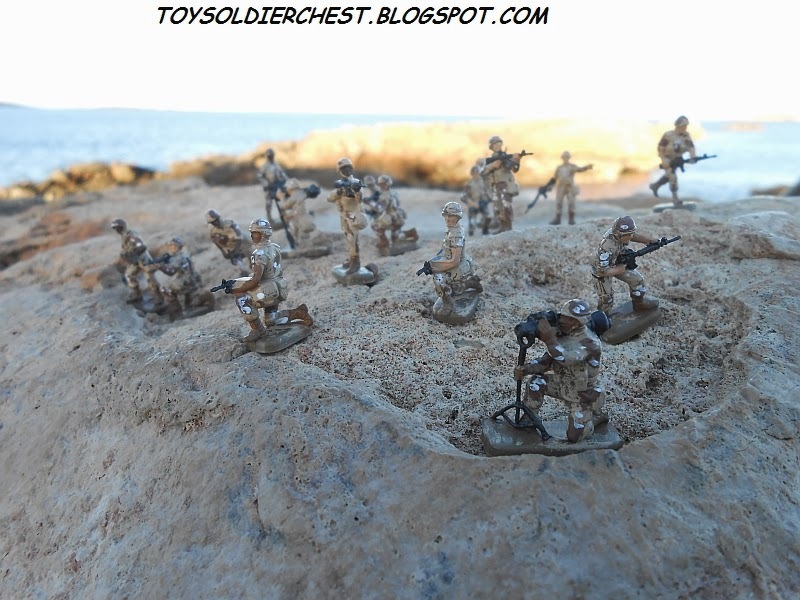 Soldiers painted by myself in three camouflages; Woodland, Desert pre-Operation Desert Storm, and Desert camo post Iraqi War. your painting work is perfect and the pictures are perfect ! I am afraid I cannot agree on wargaming usefulness. 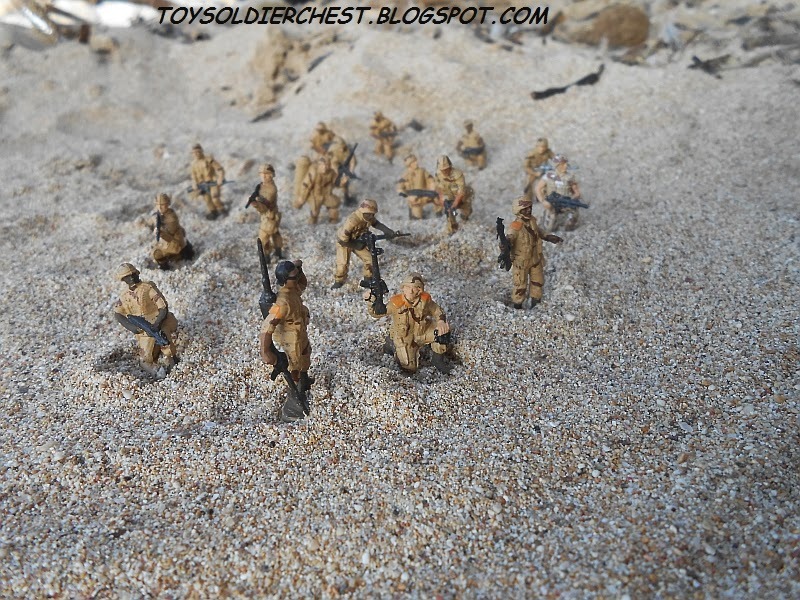 This set NEEDS many machinegunners (two poses, as in this set, is minimum) since in US platoon were so many machinergunners. 2 per squad. 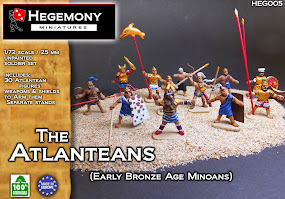 Thi is nearly perfect set for wargamer. The only wargaming drawaback is there is not enough grenadelauncher (4, while we need 6) - they should raise the number of grenadelauncher "at ease" from 1 to 3.